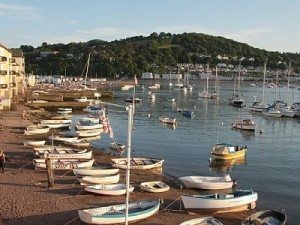 Premier river beach cottage situated at end of quiet lane leading directly on to beach, it is renowned for its unique porch, the cottage has magnificent views from all its rooms, overlooking the river Teign to Shaldon and onwards up to Dartmoor. The cottage has just been refurbished throughout to a very high standard. 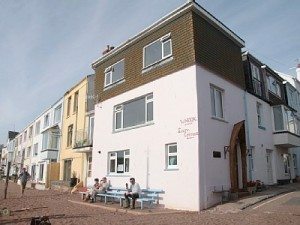 The ground floor comprises of entrance hall, bathroom complete with bath and shower combined, then onto a fully equipped fitted kitchen, stairs leading to lounge comprising the whole of the first floor with extensive views of the harbour and estuary. Stairs from the lounge take you to the two good sized bedrooms one being a double and the other with twin beds again both with panoramic views. This cottage is perfect for family holidays. There is also a large seating area directly in front of cottage on the beach this has been a popular place to seat for visitors and locals alike to relax and take in the spectacular views and magnificent sunsets.